NASCAR teams are always growing, moving up through the ranks of racing. Who could be the next team to make the jump to the Cup Series? Maybe one of these five. Every person in a NASCAR garage is working towards one common goal, while also aspiring to reach their own personal results. Team members want to grow, improve, and eventually move up the latter to bigger teams or bigger positions. 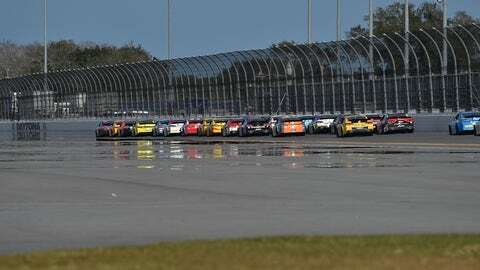 Drivers who start out in regional series dream of one day racing at Daytona. For car owners, the dream is similar too for many, to one day field an entry in the Great American Race. Car owners come and go from stock car racing, sometimes almost too quickly. Who can forget the amazing promise of Braun Racing, which later became Turner Motorsports, only to see the team bought out by Harry Scott. Speaking of Scott, could his team have survived at the Cup Series level beyond 2016, and maybe built a legacy for the future where they could contend? Beyond the talk of the owners currently in the premier series garage, there are always rumors floating around about who could be next to jump to the top level of NASCAR. Remember the long-standing rumors of an Andretti-Dodge marriage? Or how about the push for JR Motorsports to move up and Dale Earnhardt Jr. to become the next owner-driver-champion? The rumor mill never stops, and speculation always abounds as to who can add a meaningful entry into the field of 40. There are five teams today that stand out as ready to and capable of contending in the Monster Energy NASCAR Cup Series. While many of them hold deep ties to current premier teams, these types of fostering relationships can help bring new blood into the sport, while also allowing some of the sport’s biggest names to take on a new role. Here are five teams that have a bright future for the Cup Series in the coming years. A relatively young team in the Camping World Truck Series, Kyle Busch Motorsports has already cemented their place as a championship contender each year. 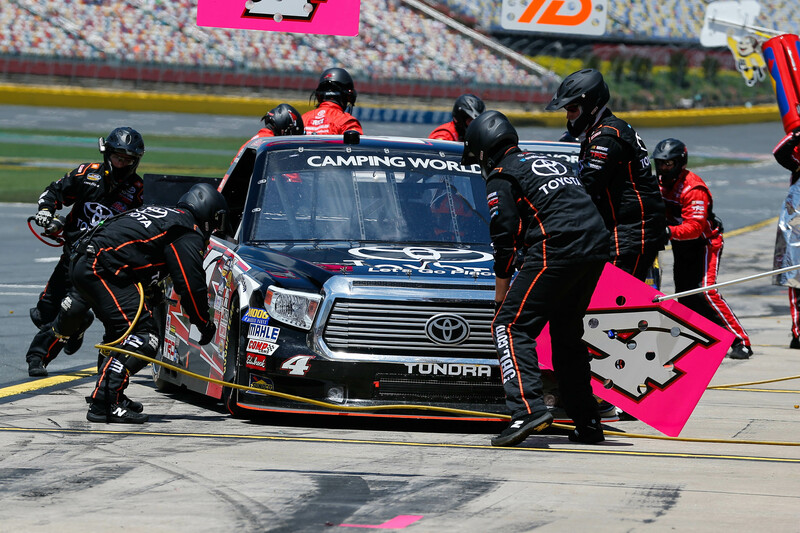 When Kyle Busch took the remains of Xpress Motorsports and turned them into a new Camping World Truck Series team, everyone new success was in their destiny. However, the immediacy of that glory may have been more unexpected than the team’s development. Having won multiple owners titles and now a drivers championship with Erik Jones, KBM could be ready for the next step in their way up to the Cup Series. In order to make the move to the Cup level, the Xfinity Series would be the next logical step for this group. However, prior experience in this division has been a mixed bag thus far. KBM began experimenting in the former-Nationwide Series in 2011 by running F1 driver Kimi Raikkonen in conjunction with NEMCO Motorsports. The team then moved to full-time racing in 2012, fielding the #54 Monster Energy Toyota that would be split between Kurt and Kyle Busch. However, the Cup champ duo only mustered one victory that season. Another attempt at a full-time car in 2013 with Parker Kligerman also yielding disappointing results. If the logical chain of the NASCAR ladder is to be followed, the next step for Kyle Busch Motorsports would be to enter into the Xfinity Series. There is certainly a role that the team can play in the future for both Toyota and Joe Gibbs Racing, too. With so many development drivers coming through the ranks in quick fashion, perhaps KBM can be a landing spot should all the roles at JGR be filled. The two-truck Brad Keselowski Racing team has created a number of strong development drivers for Team Penske and Ford Performance. There’s a new sheriff in town for the development of Ford Racing drivers, and his name is Brad Keselowski. That’s right, the former Sprint Cup Series champion has strengthened the connection between his team and Ford Performance for 2017 and the future. Could that future include an expansion to the top level of the sport? Brad Keselowski Racing has served as a great proving ground for up and coming talent for Team Penske. Drivers like Ryan Blaney, Parker Kligerman, and Daniel Hemric. Now, they will expand that effort to include all the Ford teams, as Austin Cindric and Chase Briscoe join the squad in what some may call a rebuilding year. But don’t tell the BKR drivers that. Briscoe and Cindric worked hard in ARCA to earn their spots, including Chase winning the overall championship in 2016. What does the future hold for the team? Well, any expansion appears to be directly tied to Team Penske. 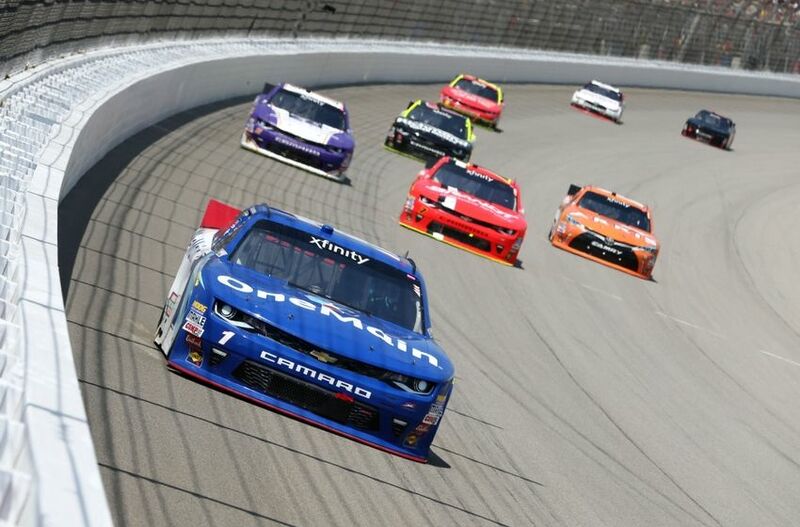 With the team providing much of the support for BKR, any move to Xfinity or Cup would likely come should Team Penske run out of space and cars to race at each level. However, when Brad Keselowski retires from NASCAR, expect him to take on a greater leadership role in the organization. GMS Racing proved their metal in 2016, fielding four competitive Trucks all year long. Entering 2016, many wrote off GMS Racing as the team that rose from the ashes of Turner Scott Motorsports. Today, they can hold their heads high as the reigning champions of the Camping World Truck Series with driver Johnny Sauter. The team made our list for potential suitors should Dodge return to stock car racing, but is that their only ticket to the premier series? Already GMS Racing is making their next step forward in their team’s future, adding a full-time Xfinity Series car in 2017 for Spencer Gallagher. 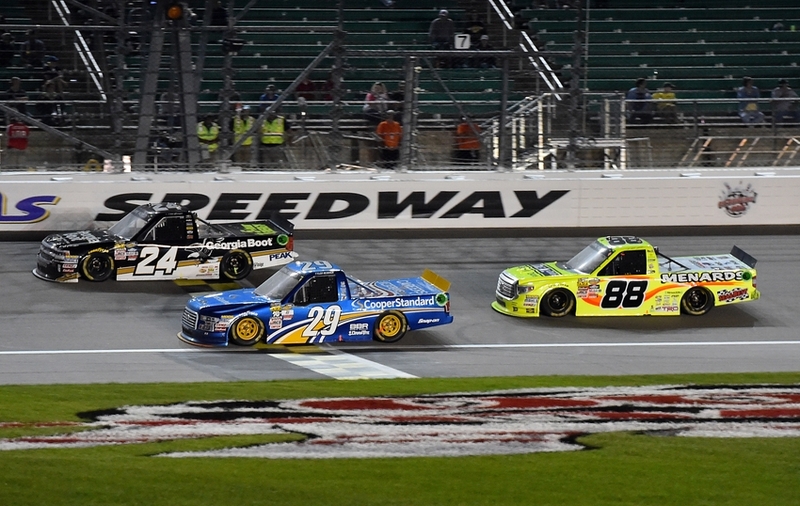 That program could expand in future years, with potential successes leading to current Truck Series drivers like Ben Kennedy and Kaz Grala moving up. The team has found a solid core of performing drivers that can contend for wins, and their future is as bright as the team they race for. The challenge that lies ahead for GMS Racing is their manufacturer affiliation. Chevrolet already has two powerhouse teams in the Cup Series with Hendrick Motorsports and Richard Childress Racing. Any move up to the top level would likely require a strong alignment with one of these organizations. This explains the potential for a connection with a new manufacturer like Dodge who could look to add new teams to Cup. With that said, there are two clear paths that lay ahead for GMS Racing – either stick with Chevy or try it on your own with someone like Dodge. ThorSport Racing has been one of the stalwarts of the Truck Series. But could it be time to expand? 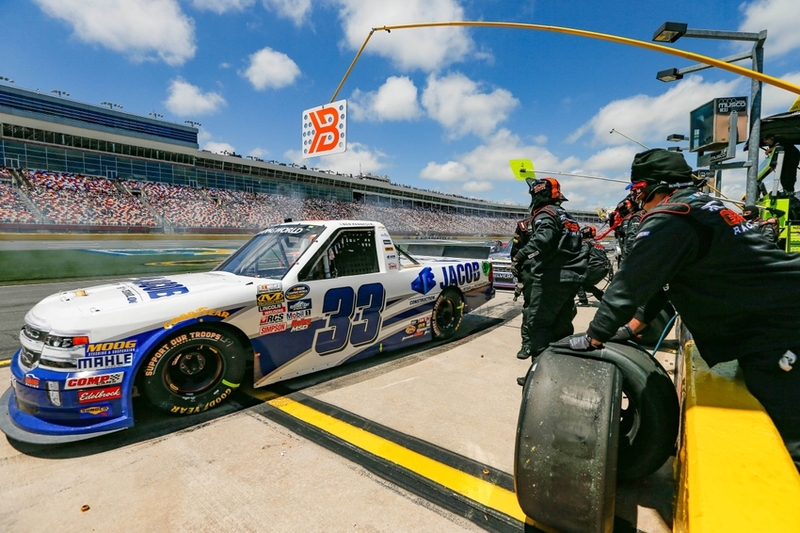 One of the last surviving veteran teams of the NASCAR Camping World Truck Series may want to consider expansion in the near future. In recent years, ThorSport Racing grew quickly from a two to a four-truck operation, and will once again field a foursome of vehicles in 2017. But their next step could be to the upper echelon of stock car racing. ThorSport Racing began competing in the Truck Series in 1996 and has fairly steadily expanded ever since. They fielded ARCA Racing Series machines over the course of their time as an organization, as well as a Xfinity Series car in two races back in 2008. It has been nine years since the team tried a new challenge in a higher level of the racing ladder, but they have drivers ready to make that jump. 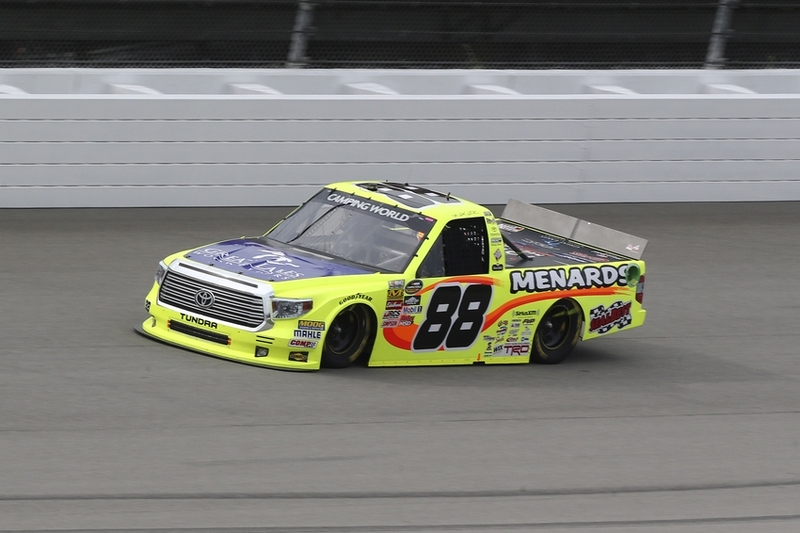 Matt Crafton, Cameron Hayley (who will not compete with them in 2017), and Ben Rhodes all would be valid contenders for a Xfinity seat. Perhaps one of the handicaps for the team going forward will be their facilities. The team’s race shop caught fire in the summer of 2016, but they continued to compete and vowed to rebuild. 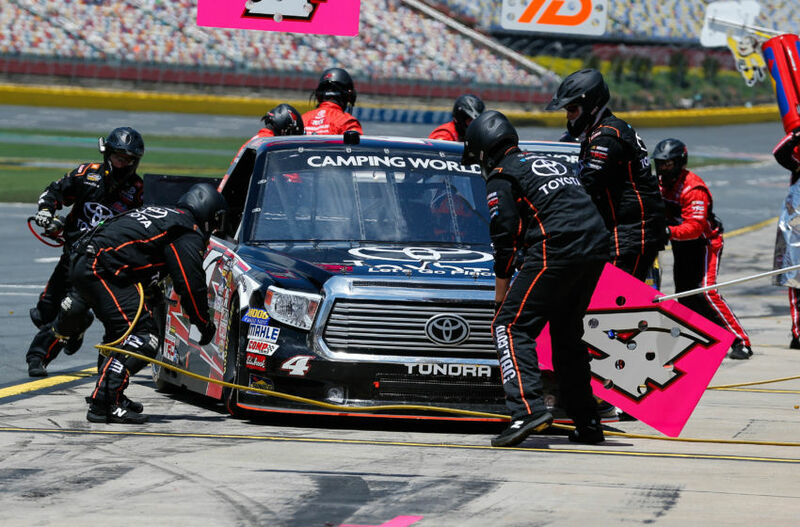 As the organization is likely focused on the reinvigoration of their facilities, any expansion beyond four Camping World Trucks would have to wait for some time. 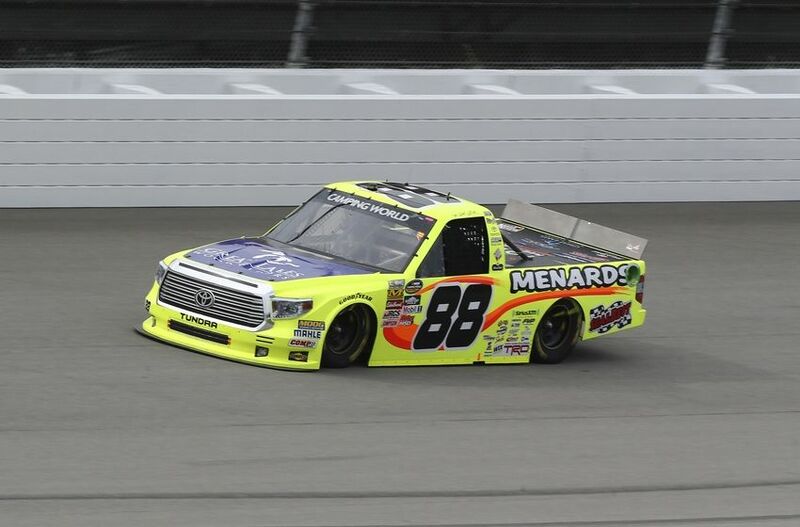 Do you think ThorSport Racing and Matt Crafton are ready to move up the racing ladder? Following in the footsteps of his famous father, it would only make sense to see Dale Earnhardt Jr. race his team forward to the Cup level. The only team to make our list from the Xfinity Series follows in the namesake of its founder, Dale Earnhardt Jr. And with the most popular driver in NASCAR potentially being on the cusp of retirement in the near future, could he refocus his efforts on bringing the JR Motorsports squad to the Cup level? Make no mistake, it would prove highly unlikely that fans will see Dale Jr. race for his own team in the Cup Series. Leaving Hendrick Motorsports to race there would be a downgrade in a vehicle while likely straining their affiliation with Mr. H. That could lead to another satellite team for HMS, which could be needed following the departure of Stewart-Haas Racing to Ford. It would open up a new seat that could keep Alex Bowman in racing, the primary substitute driver for Junior after his concussion in 2016. Of course, the tight-knit relationship with Hendrick would not be something unseen in Cup competition. Richard Childress Racing and Germain Racing work closely together, as does Team Penske and Wood Brothers Racing. Hendrick’s closest relationship in 2017 will be with Chip Ganassi Racing, as their engine supplier. No matter what happens, when a team moves up the NASCAR ladder, they are best served not forgetting their roots in the feeder levels. 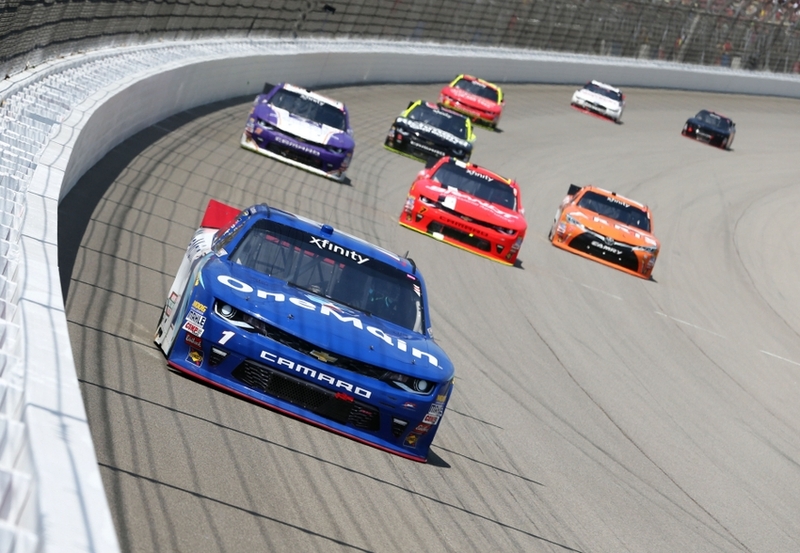 Teams who are willing to compete in multiple divisions are a benefit to stock car racing, helping further the development of tomorrow’s drivers. What teams in lower series would you like to see compete in the Cup Series? Comment with your selections below.